Reduce presenteesim, long term sickness and recruitment costs, whilst improving productivity and general wellbeing. A healthy mind and a healthy body is crucial for productivity and happiness. 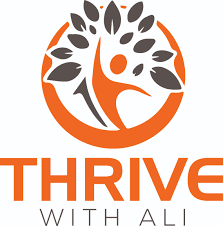 Ali Scobbie, a trained psychotherapist and hypnotherapist, will introduce The Thrive Programme and demonstrate that mental health is actually very predictable and easy to understand and control. She will discuss the beneficial impact for workforces on presenteeism, sickness, including long term sickness and staff turnover, which currently costs businesses £35 billion a year. Ali will provide advice and support for you as an employer, or employee on how to improve general wellbeing, which is driven by mental wellbeing. This in turn will lead to enhanced individual and organisational performance.